When it comes to skeletonized, or open-heart, watches, I have become more than a little jaded. Most of this comes from having seen way too many designs (both inexpensive and not) that simply become a jumbled mess, and are simply too hard to actually use as a watch to read the time. In those cases, no matter how “Gee whiz” the design and finishing is, the watch is done for me. 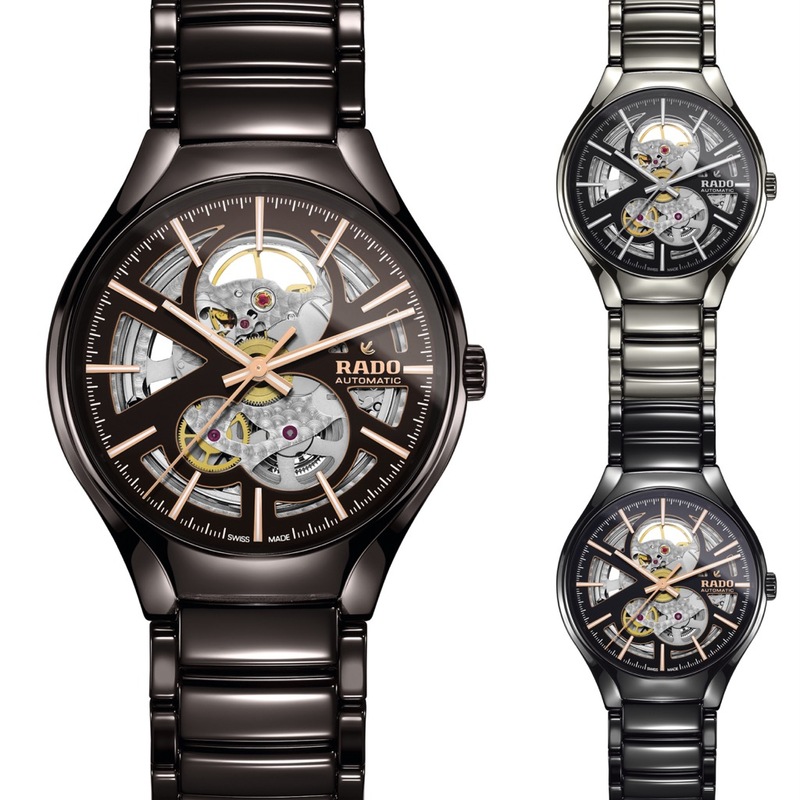 Surprising me (both because the announcement was unexpected and by my actually liking the design) is the Rado True Open Heart. Now, we’ve written about Rado a good bit recently, and for good reason. They don’t get quite the attention that one might expect, given how well they use their materials (primarily scratch-resistant ceramic), colors, and design. You might say we’re trying to help right that wrong. For me, a lot of it comes from that ceramic, as it’s an intriguing product, giving the look of metal while giving a much different hand-feel and, of course, scratch resistance. With the Rado True Open Heart, I also particularly like just how legible the watch has remained. While there are large cutouts so you’re able to see the balance wheel (aka, the heart of the movement), and a few other significant components of the drivetrain, legibility is kept. This is done with judicious use of a solid chapter ring, along with spokes that radiate to the center on all but 5 of the indices. And for those indices, they are generously sized, so you can help but to see them. That same sizing philosophy extends to the handset of the Rado True Open Heart, with longer, tapering hands, finished in a tone that contrasts the darker dial, allowing you to read the time quite easily at a glance. Or at least, that’s the way it seems from the photos we’ve seen and included for you here. We are, of course, working to get a loaner in so we can give you our in-the-ceramic impressions.